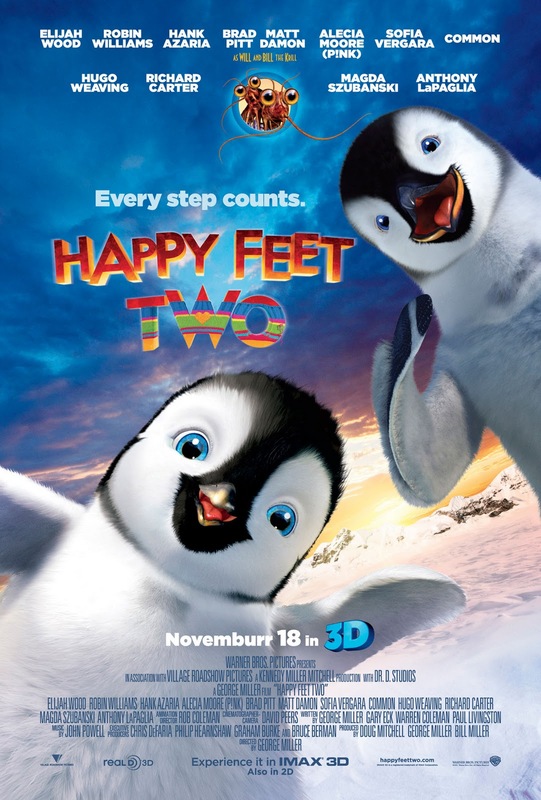 Happy Feet Two is fascinating but somehow quite a disappointment in respect with its predecessor. Generally, Happy Feet Two wasn't bad at all. The movie still has its charms and entertainment factor but it was just not as relevant and rich compared with the first film. I think what is the Major Problem of this film is that it failed to deliver a concrete story line and plot to the point that the whole film was sort of a mess. There are so many unnecessary add-ons to the film that made it look like a circus at some point. The Director and the Writer left the premise blank. It was supposed to focus on Erik, Mumble and Gloria's son, but it somehow went back to Mumble instead. There were no Major Conflict and Resolution of the film that is why it didn't appeal to the fans of the franchise. The film lacks depth and profundity with its revolving concept to fight the indifference of a penguin having the ability to tap using its feet instead of a beautiful voice. On the other hand, it lack coherent relationship with Mumble and his son Erik. The film must have its focus on the struggle of Erik to become accepted like what Mumble received in Happy Feet One. There were no progression in the sequences of the film. I even can't remember there was a highlight or climax. There were less adventures and thrills this time. The singing part were kinda less this time compared with the first one. At some point, the film is over-crowded, noisy and disorganized. It was somehow flat and draggy. On the other hand, Happy Feet Two boast of funny characters such as the Krills and the Seagulls. Animation was also pretty good. The movie is indeed a visual sparkle of effects and 3D technology. The 3D was good and definitely, it added on the film's overall performance. The singing parts were less but it was still good and well-crafted. Amidst its star-studded voices behind the characters, Happy Feet Two failed to make a worthy-sequel to the Academy-Award Winning Predecessor.